But of course, even the (almost) most powerful handgun in the world is no good without something to make it go bang, and that’s why we’ve assembled a list of the finest .44 Magnum ammo to be found on store shelves. We, and by that I mean I, have tested all of these rounds, and a few dozen more, and I can confidently say that I would trust these factory loads to serve their purpose. 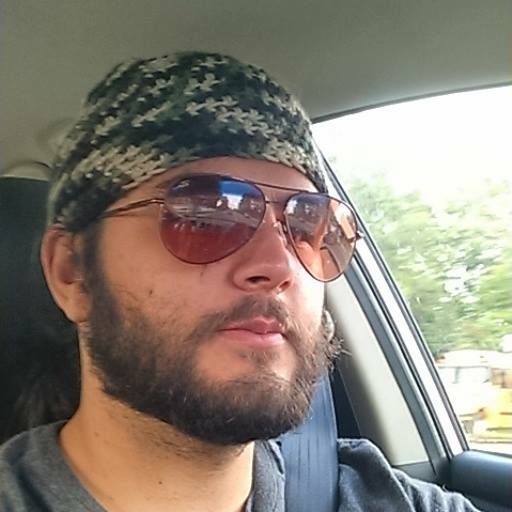 I have hunted many a whitetail with the .44 Magnum and put down many a feral hog as well. After long experience, I can comfortably say that Black Hills’ 240gr round is probably the premiere slayer of mid-sized game in this caliber. 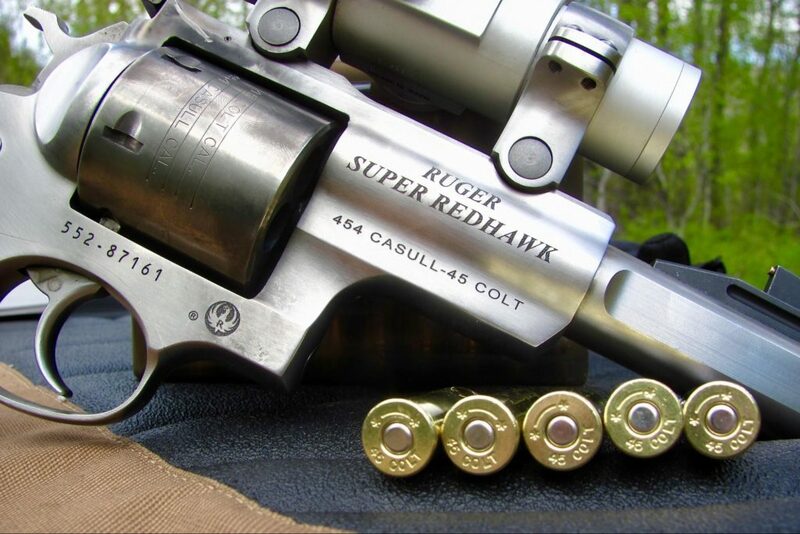 If you’re interested in taking BIG game with a handgun (eg Elk or Moose), I highly recommend you take a look at our review of the Ruger Super Redhawk in .454 Casull! And yes, it does come in .44 Magnum also. If you plan on hunting with .44 mag in a lever-action rifle, this is the best of the best. While .44 Mag is normally a flat-nosed cartridge, Hornady Leverevolution is actually a spitzer style bullet using a polymer tip for the tip of the round making it safe to use in a lever-action tube magazine. The benefits of a spitzer bullet is better accuracy, higher velocity for the same amount of recoil, and a better cartridge in general. You knew what I was going to say, why did you ask? Okay, the truth is these are .44 Special – but in our opinion that is what you want for 2-legged threats. Trust me, you don’t want a full-strength hunting cartridge for defending against a two-legged threat. Indeed, for a human solution, I suggest the lighter-recoiling, but still incredibly effective .44 Special, which you can shoot through your .44 Magnum without any problems whatsoever. The same brands that make good .44 Mag ammo make good .44 Special ammo and a nice 180gr bullet to top things off should serve you just fine. Hornady Critical Defense is one of our top recommended defensive ammo types in nearly every caliber it comes in. The design is top of the line, the price is decently reasonable, and the quality is always reliable. What’s your take on Hornady’s .44 Mag ammo? While the name is a bit…cringy, the 180gr ammo makes a good option. Really anything with a JHP, particularly an XTP-flavored bullet such as the kind that Hornady offers, coupled with a less powerful powder charge will do it. If I’m just casually punching paper or making steel ring loud at the range, I’m after cheap FMJs, and there’s almost no cheaper FMJ than Blazer Brass. 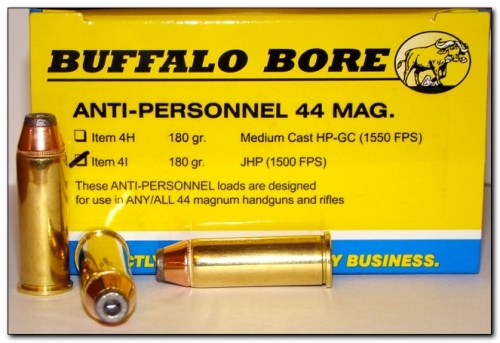 I like the 240gr options because the recoil is a bit more stout and .44 Magnum-y. I’m also used to old blackpowder pistols slinging heavy projectiles, and of course the .454 Casull, so you may want the 180gr version for its softer recoil. There’s no shame in it, sore palms and wrists are no fun, and if you’re doing any kind of high-volume shooting, lighter is going to be better. .44 Magnum isn’t for everyone – the recoil sensitive need not apply. But for those of us that can tame the beast, it can be a deeply enjoyable experience as well as being the ultimate companion for those long hunts far away from home. Don’t forget to take a look at Editor’s Picks for even more great options in ammo and guns! Or needing another .44? Check out Best .44 Magnum Revolvers & Rifles.